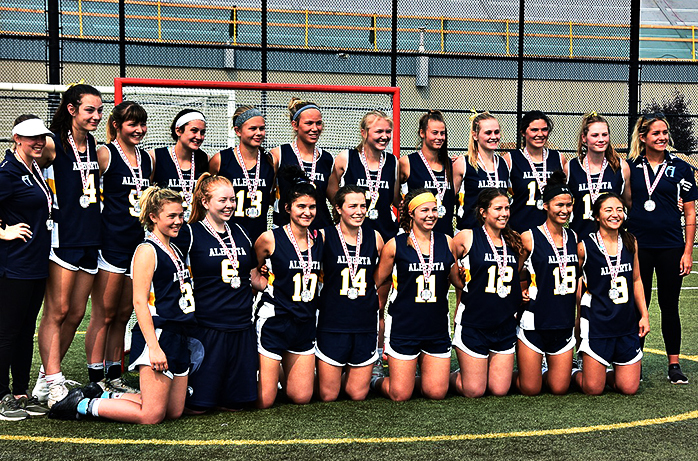 For the first time in history Team Alberta U19 won a silver medal in the National Invitational Tournament August 19th, 2018. The team was led by a strong group of Vimy Ridge Academy girls from all grade levels: Jazmyn Ward, Jevlynn Ward, Eve Huritzik, Halle Fenton, Emma Jobs, Reese Jones, Sara Pagatto and Halle Nedohin. 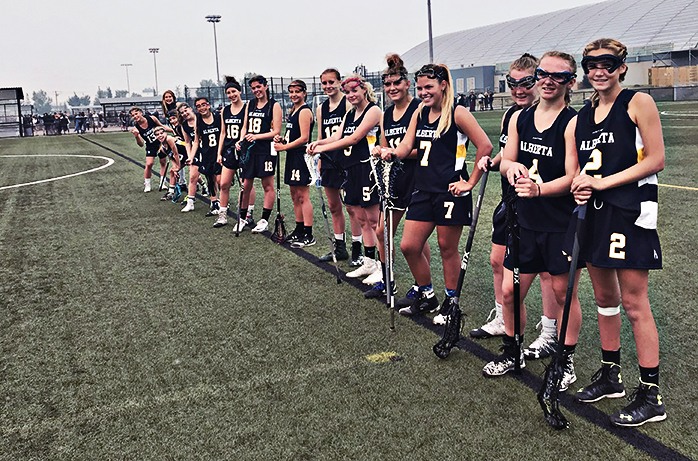 After losing 18-2 against a tough Ontario team, and battling with BC only to lose 9-8 on the first day, the U19 team proved their mental toughness on day two. It started with an astounding 11-3 win against the same BC team played the day before. This put the U19 team into the gold medal game against Ontario. 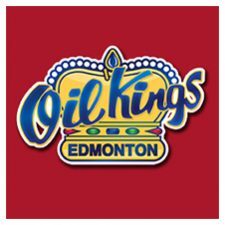 Alberta came out hard, leading the game 7-4 at the end of the first half. However, Ontario came out firing and used their possessions wisely ending the game in a final score of 7-10 for Ontario. Eve Huritzik was the top Vimy scorer with 5 goals throughout the tournament, while Emma Jobs tallied 3, alumni Jazmyn Ward contributed 2, and midfielder Reese Jones finished with 1. U15 Team Alberta came out of the tournament with bronze placement in two days of close games. Vimy Ridge Academy girls made quite the impression on U15 Team Alberta, all contributing on the stat sheet. Cassidy Rhodes acquired 13 goals, Ella Royer came close with 9, and Logen Davis executed stand-up defence as well as contributing with 1 goal. 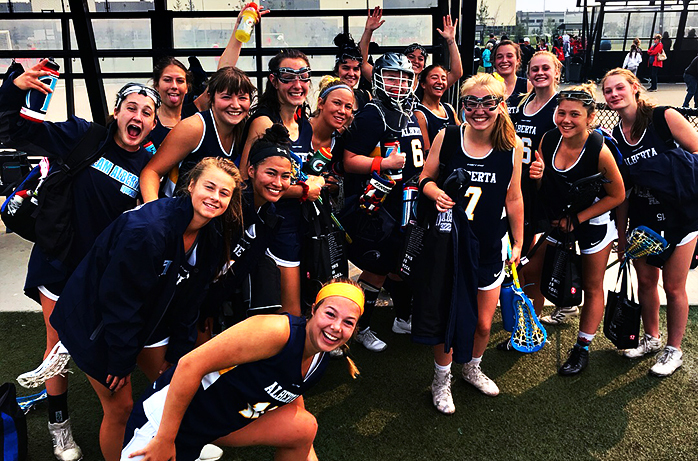 Vimy lacrosse is extremely proud of their female student-athletes for being leaders this summer on Team Alberta, and hope to see them succeed again next summer!